This exceptional contrivance works brilliantly in the process of paint production with several other areas like pharmaceutical, cosmetic, ink, paint, construction, resin, chemical, food, and beverage industries. 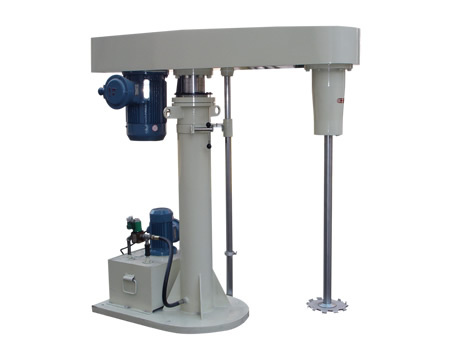 The centrally located shaft in Twin Shaft Disperser carries out the procedure of dispersion and the low-speed shaft is accountable for the mixing mechanism. Comprising of dual shafts, the dispersion blade and mixing blade, this gimmick is the crest of dispersers due to its phenomenal quality of mixing and dispersing the substances with no hassles. Such smooth performance of Twin Shaft Disperser has brought this appliance in high demand over the time and space. If you’re looking forward to magnifying the productions of your industry with putting least of efforts, money, and time, then Twin Shaft Disperser is a perfect go-to-option. Buy it today itself from ace Twin Shaft Disperser Suppliers In India.